Today is Day 4 of the Good With Money Alternative Advent, #SDGsAdvent, featuring one post, by one expert, on investing to help meet one Global Goal, every day, right up until Christmas. 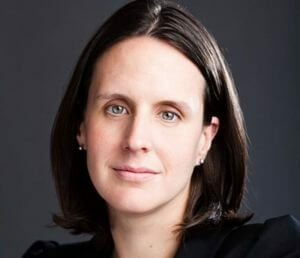 Today, Julie Dunn from Ethex, the ethical investment platform, talks about investing to achieve “gender equality and empower all women and goals” the UN Global Goal 5. The UN Global Goal 5 – Achieve gender equality and empower all women and girls is of huge importance in countries such as Uganda, where the female population is willing and able to contribute to the local economy, but constrained by lack of access to education and societal stereotypes. Empowering girls and women to get an education and work has a positive knock-on effect. Once a woman earns an income, her decision-making power at home and in the wider community increases. She is no longer forced to depend on her husband, and her children are more likely to go to school and to receive regular meals. Access to a reliable, clean and affordable energy supply is something we take for granted, but for women in Uganda, it can help them forge a better life. Energise Africa is a ground-breaking initiative that provides the opportunity to invest in a range of pioneering businesses that install life-changing solar systems in Sub-Saharan Africa – bringing clean energy and economic opportunities, while aiming to generate up to a 6 per cent annual return for investors*. On a recent visit to Lumuza school in Mpigi, Uganda we saw the benefits of solar for girls there first hand. 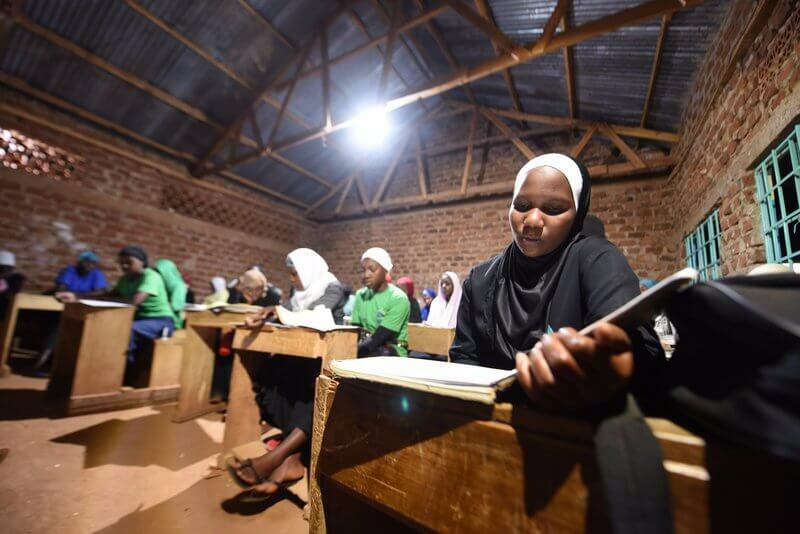 Not only does access to solar energy mean they can study for longer each day, but they now have access to modern technology, opening their future opportunities and helping bridge the gender gap in education. Often, solar power also means women can build their business ideas and turn them into profitable enterprises. Mary has run a barber shop in Uganda for 15 years. Recently, she got a solar installation and this provides her with reliable and affordable electricity, meaning she can use electric razors for haircuts, increasing her profits by 30 per cent. Patience runs a local store in Uganda that provides income to look after her family. Since getting solar she installed fridges, meaning she can sell cold drinks and food, without the worry of high bills or power cuts. The shop’s popularity has greatly increased and her customer numbers have multiplied. Your investment in projects funded through Energise Africa could supply more women in sub-Saharan Africa with solar installations, along with the opportunities that solar power brings. * Capital is at risk and returns are not guaranteed. Investing on Lendahand.co.uk involves risk, including the loss of all of your capital, illiquidity (the inability to sell assets quickly or without substantial loss in value), and it should be done only as part of a diversified portfolio. Please read the full risk warning on Lendahand.co.uk before deciding to invest. Julie is a freelance social media manager and works with Ethex and Energise Africa to create strategy and content for their social media channels and makes sure their followers are kept up to date with all the latest ethical investing news.